Chemotherapy: (often abbreviated to chemo and sometimes CTX or CTx) is a category of cancer treatment that uses one or more anti-cancer drugs (chemotherapeutic agents) as part of a standardized chemotherapy regimen. 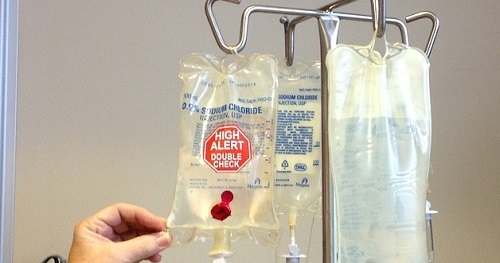 Chemotherapy may be given with a curative intent (which almost always involves combinations of drugs), or it may aim to prolong life or to reduce symptoms (palliative chemotherapy). Chemotherapy is one of the major categories of the medical discipline specifically devoted to pharmacotherapy for cancer, which is called medical oncology.